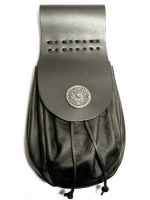 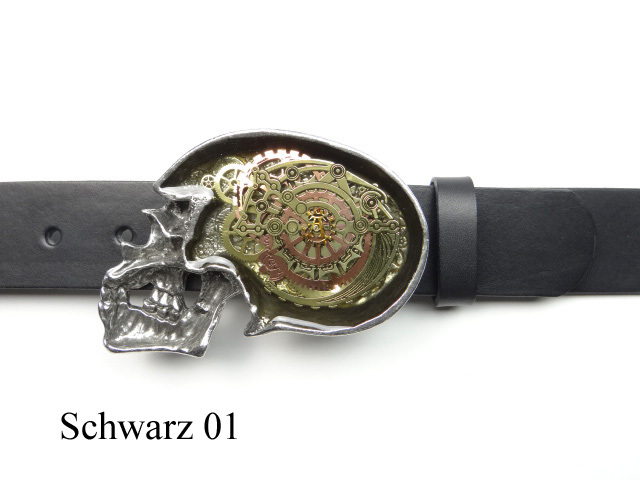 Alchemy belt buckes from England are of the highest quality in terms of design and detail. 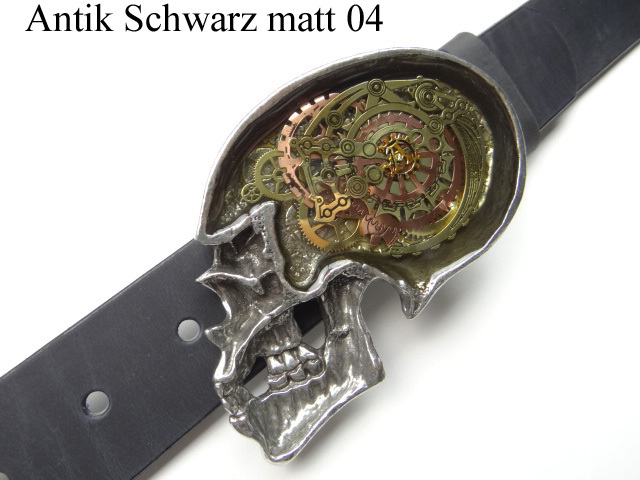 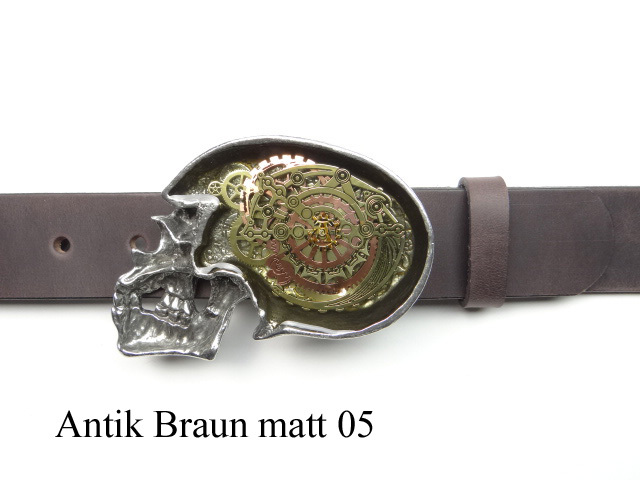 Highly skilled and crafted belt bukle made from pewter and featuring a skull and clockwork mechanism set in acrylic. 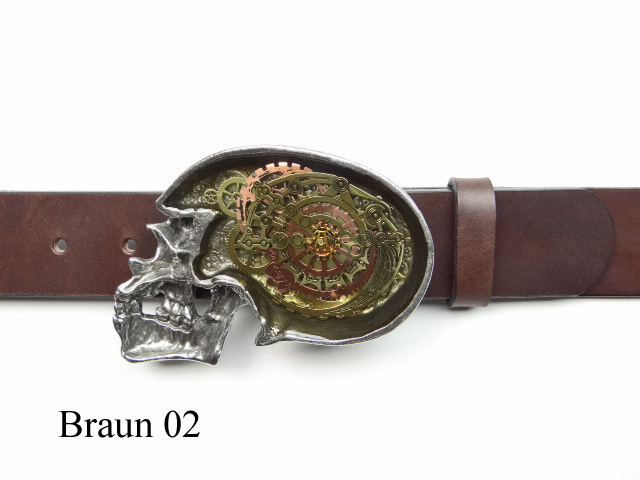 This perfectly crafted English buckle is approx. 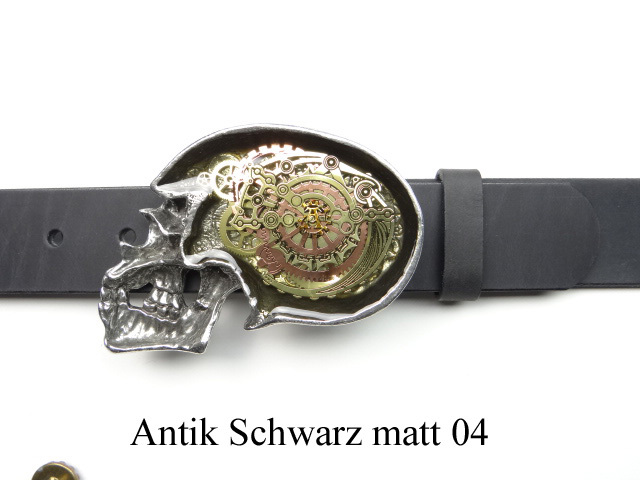 7.5 cm x 11cm large. 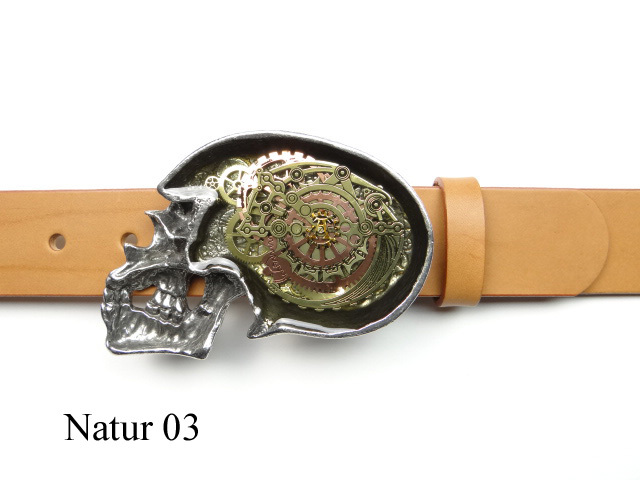 Available in our five strap colours and made from naturally tanned cowhide. All belts are hand made to your specific size.